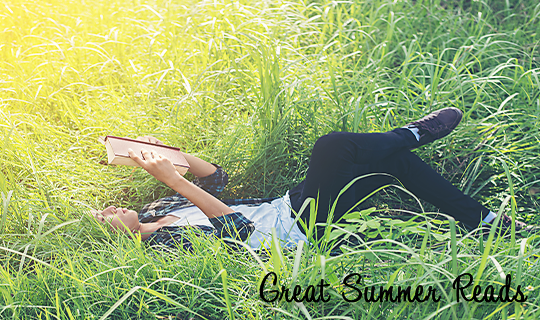 A great way to keep your learning skills sharp over the summer is reading. It’s one of the easiest ways to keep your mind engaged and is a lot of fun! With that in mind, we present some entertaining summer reading options for Chignecto-Central Regional School Board (CCRSB) junior and senior high school students. Synopsis: After failing at a competition for her favourite reality TV singing show, Gerri doesn’t think she’ll ever sing again. But after a teacher asks her to join a choral club, Gerri realizes there is more than one way to be a happy and successful singer. Synopsis: Leading lady Calla Tor wakes up imprisoned by her sworn enemies, the Searchers, and she's convinced death is around the corner until they make her a tempting offer that allows her to save the pack she left behind. Synopsis: The story of sixteen-year-old Jacob, who seeks solace post-family tragedy on a remote island off the coast of Wales, only to discover a crumbling home haunted by the children who were once quarantined there. Synopsis: A fast-paced and innovative alternate-history thriller in which resistance fighter Yael competes in a motorcycle race across Europe and Asia while impersonating a former competitor. Yael’s deception becomes more difficult with each day, as does the mission assigned to her. Synopsis: Faith Sunderly leads a double life. To most people, she is reliable, dull, and trustworthy. But inside, Faith is full of questions and curiosity, and she cannot resist mysteries: an unattended envelope, an unlocked door. She knows secrets no one suspects her of knowing.